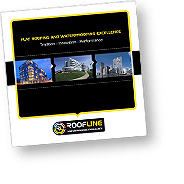 Roofline have an excellent health and safety record. All of our selected products and installation processes are assessed in relation to minimising risk and compliance with safety regulations. 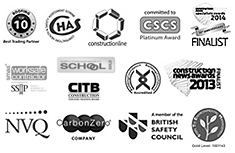 Roofline have passed many safety audits for various bodies and been certificated, including CHAS, Achilles and Constructionline. As a responsible, independent, family owned company, we believe that the long-term future of our business is best served by respecting the interests of all our stakeholders, customers, suppliers, employees and the wider community. The Roofline Group aims to be an equal opportunities employer, to act fairly and to prevent unlawful discrimination in any aspect of employment.